No movie ever made has influenced me more than this classic. I had the honor of doing a play version of it about 5 years ago. I had seen the film thousands of times, had loved it, but I never really knew what it meant. During the course of the production, I suddenly felt alive. I felt that I wasn't having enough fun. I felt that I wasn't doing enough in my life. Crazy things, like kissing my mother or my father. I hadn't really hugged one of them in a while. It makes you think. It's more of a thinking person's film than a mere Christmas film. 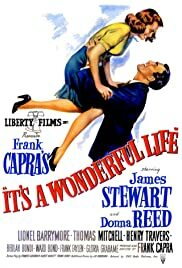 If you think it's just a Christmas film, I insist you watch it again and again, until you get the message.